LUXURY Garden Hammocks, Swing Seats & Nests | Ultimate Relaxation. Crash-and-relax in the garden in ultimate comfort & style in one of our luxury garden hammocks, swing seats and & nests. 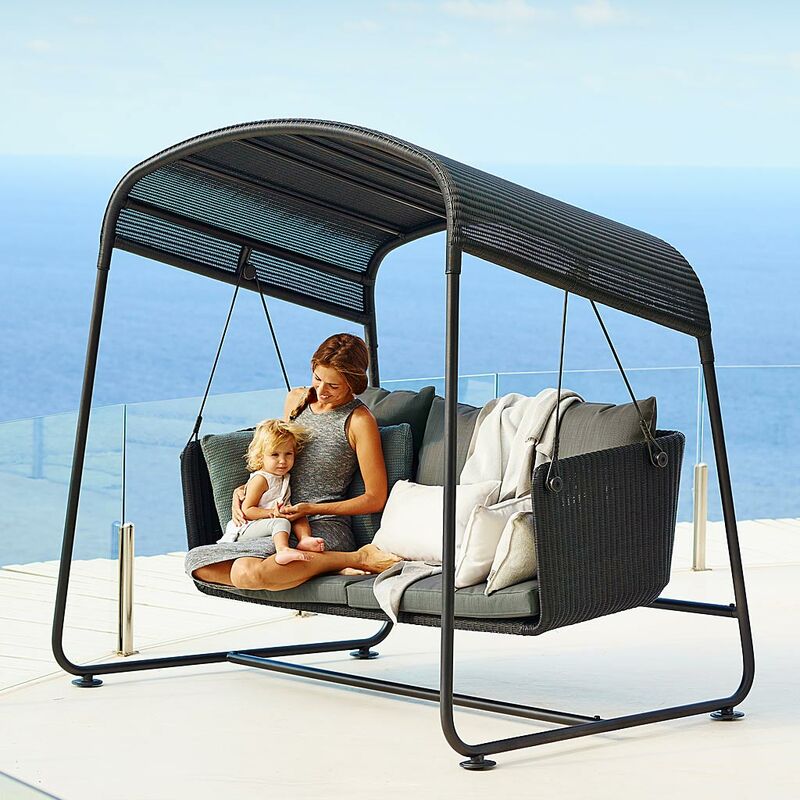 Browse our unique range of modern design hanging garden seat pods, outdoor swings and stylish hammocks, by leading European brands including Maffam, Royal Botania, Viteo, Coro, Talenti and many more. Many of our luxury hanging garden pods and nests can be suspended from a tree bough or a beam, whilst other modern garden hammocks are supplied with their own stylish base. Designed for a lifetime of outdoor use, these modern garden hammocks, swings, pods & nests are made in premium quality materials, including stainless steel, basalt fibre, plantation teak and Batyline synthetic mesh, ensuring a lifetime of low-maintenance use and year-round enjoyment. All our premium quality garden hammocks, swings, pods & nests with a luxuriously deep & comfortable cushion, made in high quality outdoor fabrics available in a wide range of colour finishes. The exclusive Encompass Furniture collection of modern garden seat pods, contemporary hammocks and outdoor swings are ideal for private homes, hotels, restaurants, spas yachts, and many other locations.